Rows of golden loaves pack the cooling racks along the back wall of the bakery inside the Moscow Food Co-op in downtown Moscow. The four-person morning crew crowds around a butcher-block work station, prepping pizza dough and packing bread for the daily orders. "What's the temperature in here?" baker Olivia Grove asks, scooping balls of cookie dough onto a baking sheet. "Seventy-nine?" Close. It's 77 degrees, a co-worker calls back above the hum of the industrial ovens and the clatter of the adjacent deli kitchen. 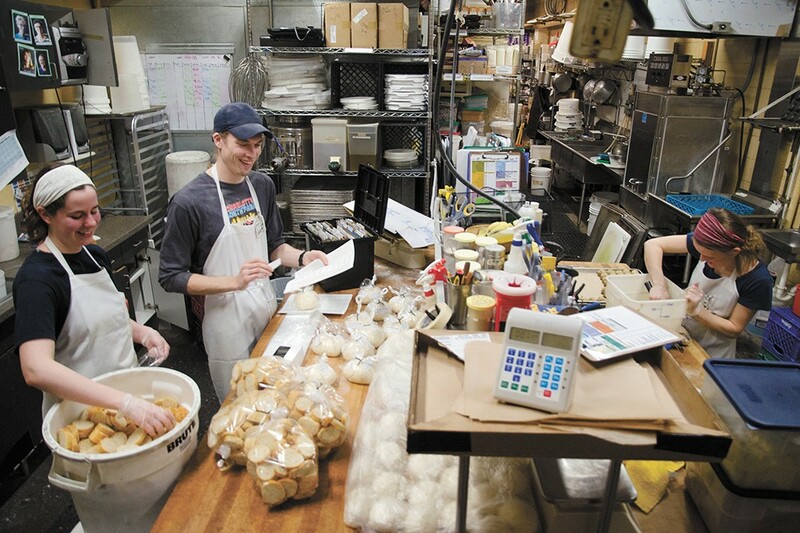 Despite its modest space, readers named the MOSCOW FOOD CO-OP BAKERY the Best Bakery on the Palouse this year. Bakery manager Anna Breed says they try to make the most of their small operation. "I don't think that anywhere else offers the volume or variety that we do," she says. The bakery makes everything from scratch, Breed says. They try to simplify recipes down to the fewest number of ingredients and then source as locally as possible. Customers hail their salted French bread, pesto rolls and old-fashioned cookies. Breed says they plan to roll out a new line of artisan breads in the next few months, including a garlic sourdough that ferments for three days. Down the block, JOHN'S ALLEY TAVERN again earns the Best Live Music Venue on the Palouse for its dedication to bringing in hard-hitting acts ranging from bluegrass to death metal. Dave Sturing says he prides himself on booking "working musicians" who know how to put on a good show. "If they're working on the road and I can help them out, that's what I do," he says, adding, "There are still fans of live music out there." 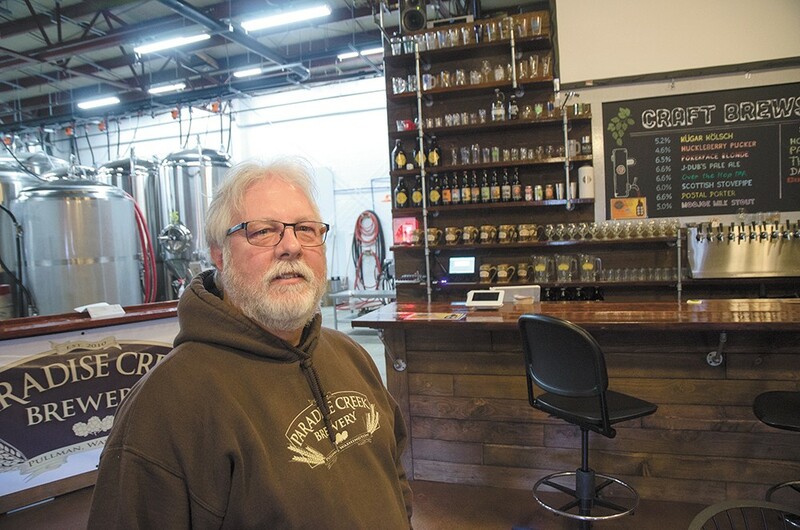 With a new taproom location and larger production capacity, PARADISE CREEK BREWERY won readers over as the Best Brewery on the Palouse. Owner Tom Handy says the new Riverview Street site can put out more than 5,000 barrels a year and has room for more variety. Open just a few months, he's already expanded the taps from 12 handles to 20. "It's been exciting," he says. "We can have a lot more beer in-process." The new taproom draws a more casual clientele than the downtown restaurant, Handy says. They just launched a trail-running club and plan to put in outdoor seating this summer. A new series of "Culture Shock" barrel-aged sours and a new lager will also roll out soon. Offering home decor for the modern farmhouse, rustic lodge or cozy cabin, HURD MERCANTILE & COMPANY in Rockford took first place for Best Gift Shop on the Palouse. Teresa Carbone, a partner with owner Jill Townsend for 13 years, says the shop works to build relationships with its customers and reinforce a tight-knit sense of community. And kids love their children's section. "We have a passion for what we do," she says. "It's the commitment." PORCH LIGHT PIZZA in Pullman relies on crisp, flame-charred crusts and relatable customer service to earn Best Pizza on the Palouse. 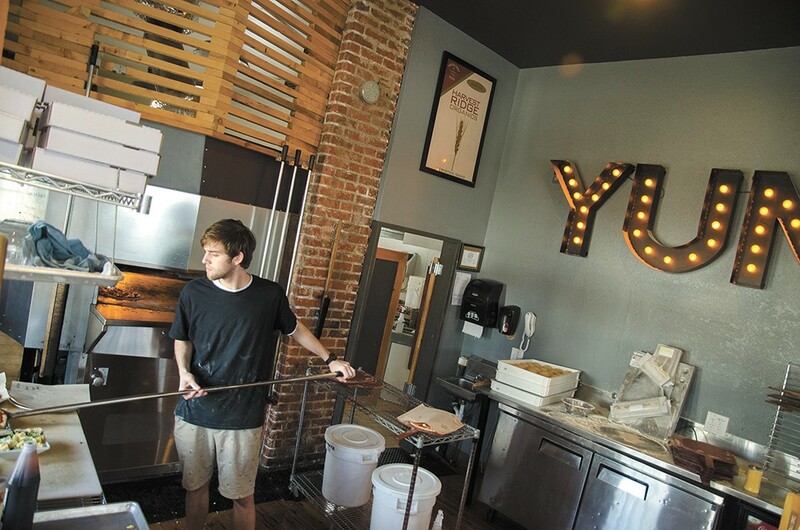 Manager Clayton Williams says they source local ingredients to craft fresh and flavorful pizzas — often utilizing peanut, pesto or barbecue sauce. WSU students make up most of the staff and Williams says they look forward to seeing their friends come in to eat. "We can relate pretty well," he says. "It's a fun dynamic." In the evenings, the restaurant often shows movies. Williams says the namesake patio along the Palouse River reopens next month: "It's a nice place to sit back with a beer." Two popular Pullman restaurants, THE BLACK CYPRESS and SOUTH FORK PUBLIC HOUSE, tied this year for Best Restaurant on the Palouse. Black Cypress chef owner Nick Pitsilionis says he strives to serve simple, straightforward dishes that ground people in their dining experience. "We're trying to get the fundamentals of service and food right," he says. "The focus is on them." Pitsilionis doesn't want intrusive waiters or aggressive sauces. He wants customers to be able to appreciate the quality ingredients and the company of their dinner mates. Upcoming tasting menu events will let diners "geek out" on their food, he says, and a brunch menu is pending. At South Fork, co-manager Sam Reebs says they aim to provide a casual atmosphere, quality food and a broad selection of regional beers. "It's a public house in every sense of the word," he says. "Everyone can come to South Fork." While the Cougar Cold mac and cheese is hard to beat, Reebs says customers can look forward to a new menu this month, featuring a BLT and a Jack Daniels chicken sandwich. Another series of tap takeovers with Northwest brewers is in the works for this summer. The original print version of this article was headlined "Best Of The Palouse"